The Dosa specialises in cooking authentic Indian Street food: chicken curries, wraps filled with spicy potatoes (the dosas), crisp onion bhajis, dahls and a range of delicious vegetarian curries. This is the food I grew up eating – having been born in India and watching my mother cook every day. Loving her food, I trained to be a professional chef, came to the UK and worked across the catering industry – from 5 star hotels to village-based bistros. After 15 years in catering, I set up The Dosa in 2013, based in Calderdale. 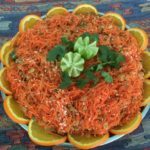 The food I cook is different from most curries you will eat in Britain: the recipes come mainly from my family. I use fresh ingredients, cook every dish from scratch and it is all gluten free. I do not use any pre-prepared sauces or any colourings or artificial flavourings. 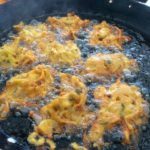 I love to cook outside – like the street vendors I grew up around. So now I am based in the markets at Hebden Bridge and Todmorden –where the food has been extremely well received. I am now expanding to cater for local festivals and events. Come join us at the always fantastic Todmorden Lamplighters Celebration on 17th November. 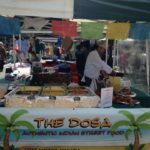 The Dosa now at Todmorden Market every Friday! Come visit us for some fantastic food.